You might have already heard about DC Comics newest event, called “Rebirth”, but in the case you haven’t let me break it down for you. 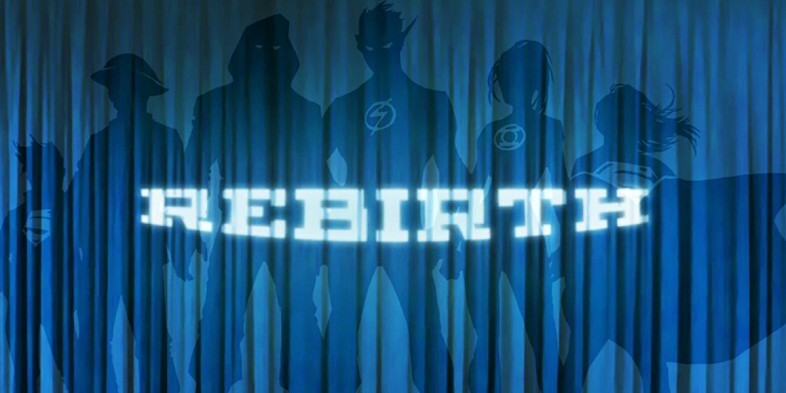 “Rebirth” is a line wide refresh of DC Comics’ publishing line and it will start on May 25th. It is NOT A REBOOT, but a relaunch with new, exciting #1′s and creative teams. 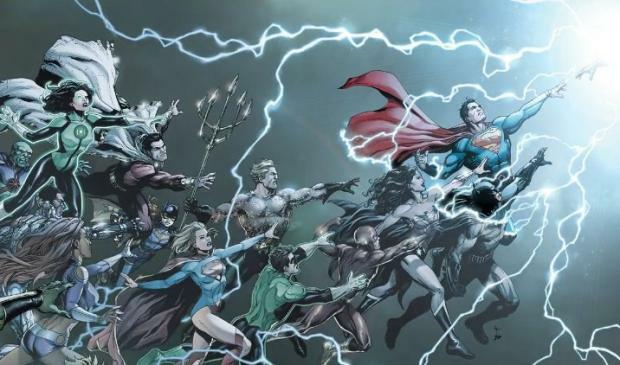 Geoff Johns, chief creative officer of DC Comics and comic writer extraordinaire, also said that the focus of this change hinges on the word legacy and that “Rebirth” will bring back a lot of legacy characters that have been missing since the beginning of the New 52. The stories of the New 52 are still intact, so this is still the New 52 universe, just with some things of the old DCU returning. It’s in the same vein as “Green Lantern: Rebirth” and “The Flash: Rebirth.” Some things alter and change, but it’s more character-driven, and it’s also more about revealing secrets and mysteries within the DC Universe about “Flashpoint” and The New 52 that are part of a bigger tapestry. A hidden and forbidden secret. DC has always felt mythic and sprawling. You can’t put boundaries on it or rules. It will break them. And it should. This does. It does in a big way. This is the start of a storyline that continues, not through one book, but through the entire DC Universe — something I’ll be able to talk about after the one-shot is out. Again, I know we’re keeping a lot of details under wraps — frustratingly so for a lot of people — but “DC Universe: Rebirth” #1 will answer a lot of your questions while raising a whole bunch of new ones. It will reverberate for a long, long time and we can talk more after this massive one-shot is in your hands on May 25! A lot of the new books will be bi-monthly and therefore ship twice every month, however every DC Universe book, regardless of their publication schedule, will be priced at $2.99, which is a big price reduction for a lot of titles. Creative teams haven’t been announced yet (apart from Jim Lee on Suicide Squad), but Scott Snyder is rumored to go from “Batman” to “Detective Comics”, for example. The twice monthly schedule of the books will be made possible by a rotating cast of artists on these books, to keep the quality as high as you are used to from DC. Here is the overview of the announced DC Comics Rebirth titles. The issues for May and June have already creative teams revealed and can be preordered NOW! Just click on the names to find them on archonia.com. ATTENTION: you have to open new subscriptions for the new ongoing series, but not for the specials, like Batman Rebirth #1 for example, which are one shots. If you don’t do new subscriptions, you will miss out on some of your monthly comics!